Established in 1996 we have built a reputation for delivering "quality" products, upon demand and at the most competitive prices in Europe. With our commitment to an ex stock delivery service, our stock profile is a vital element to our success. 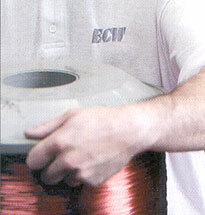 We have now one of the largest stock holding of round and rectanguler wires in the UK. For further details contact a member of our sales team..... today.